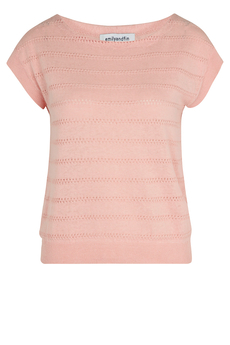 Nicole Button Back Top comes in a delicate knitted textured stripes in subtle blush pink. This elegant style is semi-fitted featuring a wide neckline and button back detail. Style it with your printed flared skirts. Is approx. 50cm in length. New Summer 2019 Collection. Composition: 55% Linen, 45% Cotton.